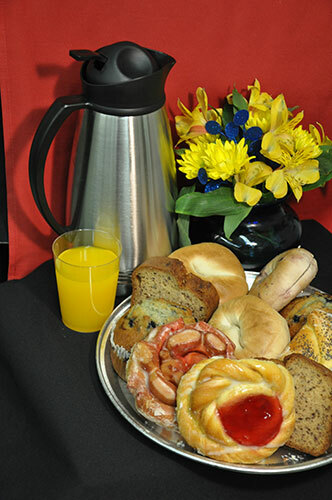 Let us cater your next breakfast meeting or workshop! All products and services are subject to Minnesota sales tax and applicable local taxes and a delivery fee. Disposables are included. China, Linens and Service are available at an additional cost.